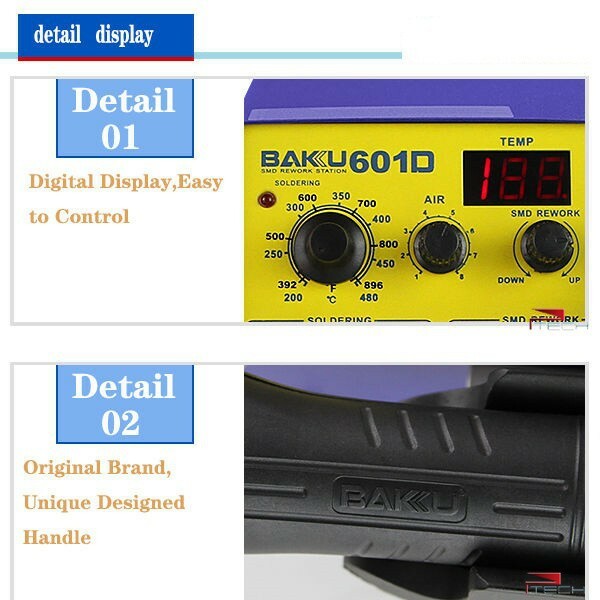 BAKU BK-601D is an LED Digital Display Hot Air SMD Rework Station, It come with 110V/220V two versions voltage optional, 601D Soldering Iron with 3 nozzles for replacement. 1. Brushless fan rework station and LED indicator light. 2. 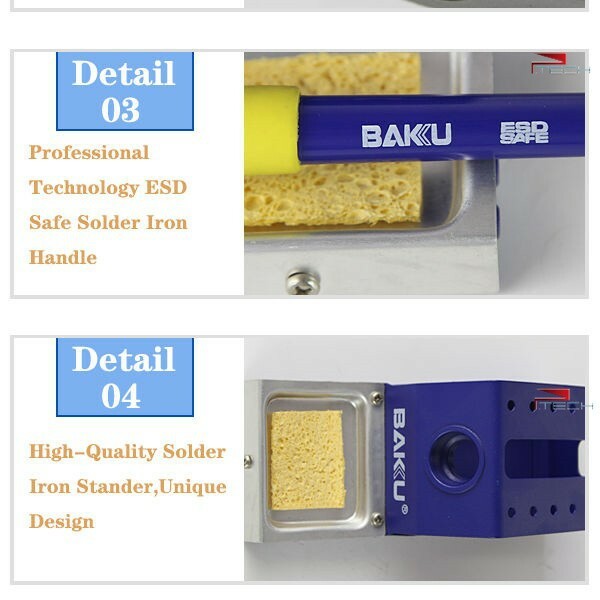 Suitable for unsoldering multipe component, such as SOIC, CHIP, PlCC and BGA, etc(especially for flat cables and cable connectors). 3. Applicable for hot contraction, heating, depainting, degluing, defrosting, preheating and soldering. 5. Various types of nozzles available, easy to replace. 6. Particularly suitable for desoldering sensitivle components and for soft air rework.